TABASCO is a true world-class cruiser. She was designed and built by an extremely experienced racing and cruising yachtsman to be the ultimate performance cruising platform. 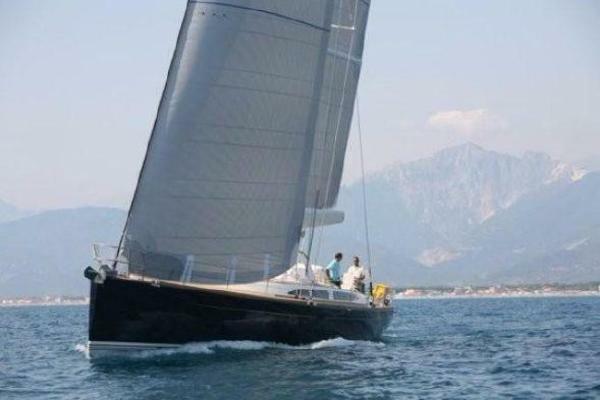 Her modern fiberglass hull form and powerful rig make her fast on all points of sail. 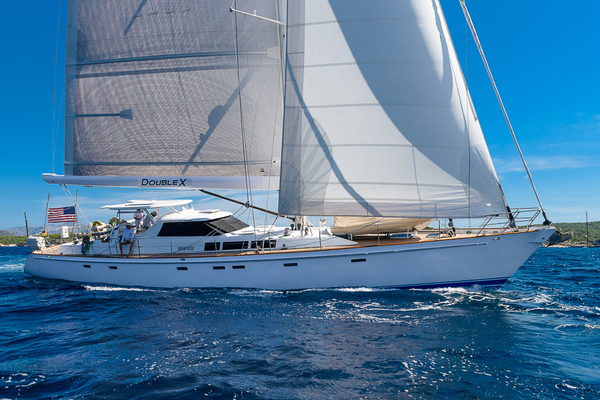 The keel/centerboard configuration maximizes performance, yet gives her the gunk holing abilities of a much smaller yacht. On the main deck, there are two cockpits. Aft is the helm cockpit with a bimini; forward is the owner's cockpit, well set-up for dining or relaxing. This area leads down to the raised pilothouse. The interior is done beautifully in high gloss teak. There are teak and holly cabin soles throughout. Tobasco is a very warm and airy yacht. Below decks, the owner and guest staterooms are forward of the raised pilothouse. MASTER STATEROOM with centerline queen is forward, with private ensuite head and stall shower to starboard. A complete entertainment center, including a flat-screen TV, is in the master. Also, there is a double hanging locker to starboard, and desk/vanity, clothes locker, and drawers to port.